This is one of those recipes where the name is 100% descriptive of the final product. And how about that final product. 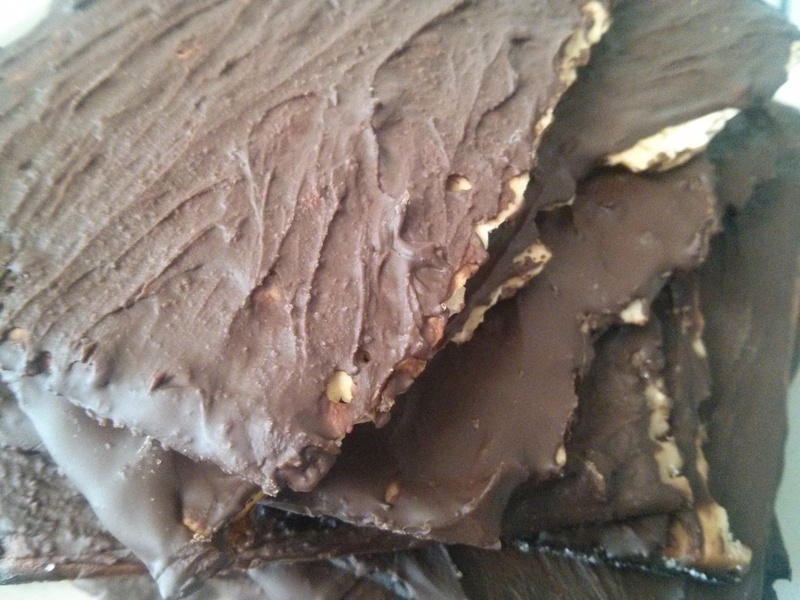 Sweet, chocolatey, easy, and yes, there is matzoh there, but now it’s sweet, chocolately matzoh. Eating a piece for the first time is like discovering Cocoa Krispies after having eaten plain Rice Krispies your entire life. I figured I’d figure it out Saturday morning, which is what I did in terms of the recipe and the production, but the actual idea came on Thursday during our weekly group run. I mentioned my pending Passover dessert duty, and the girl I was running with said something like, “Chocolate covered matzoh is really good and easy,” to which I said, “That sounds great! I’m going to do that. How do you make it?” to which she said, “You just melt some butter and sugar, brush it on the matzoh and bake it for a few minutes, and then add the chocolate,” to which I said, “Oh, that’s going to be good, I’m going to win the desserts!” Then I assured her that it wasn’t a contest but rather just a lot of people bringing something, and that it was the first time it was a little more organized. 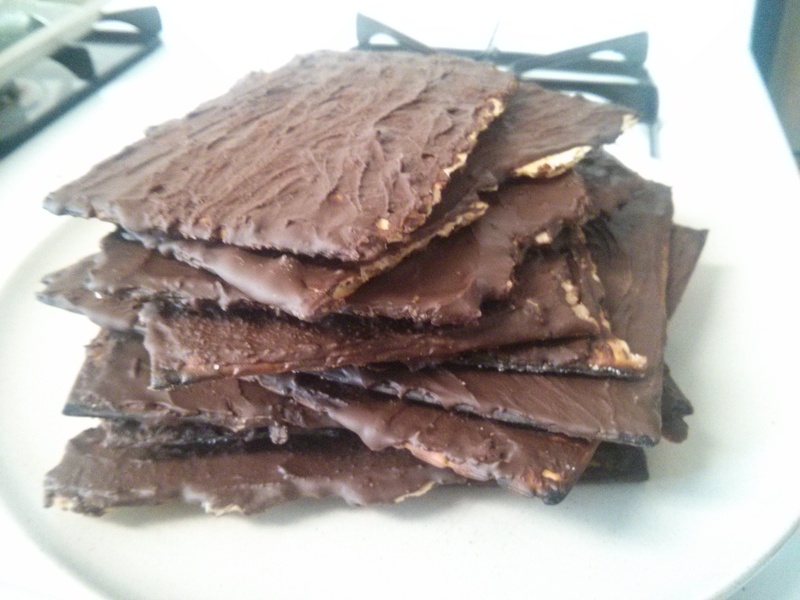 I also noted that to my knowledge, no one had ever made chocolate covered matzoh before, which meant that my contribution would have the potential of being not only good, but new. 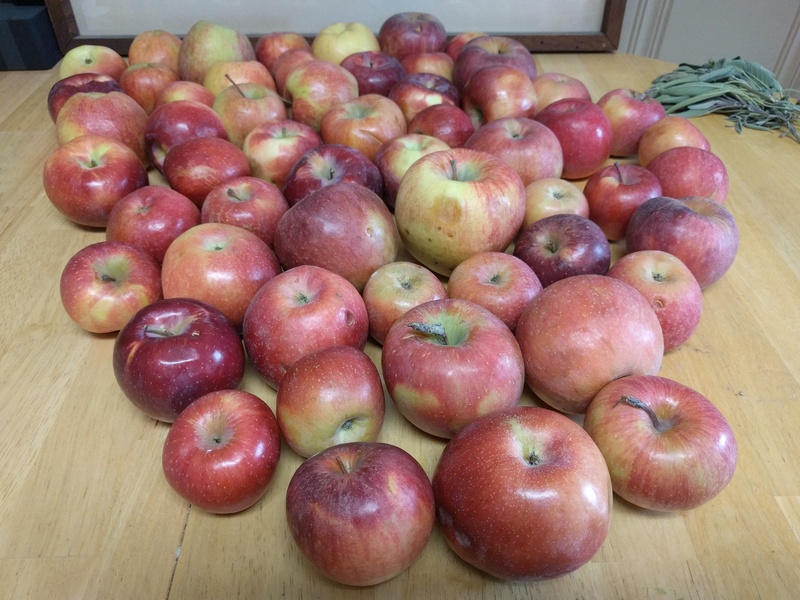 I was feeling good about the pending baking experiment, and on Friday while I was hanging out with my brother and his girlfriend, we got to talking about the desserts we were going to make. Up for them was the following: homemade macaroons dipped in chocolate, and with chocolate drizzled on top (it’s a good thing I don’t have a picture of these because you might like them more than my chocolate matzoh 🙂 ). It came out during the conversation that my brother hadn’t signed up for a dessert slot, which in no way deterred the macaroon-making that followed, and that I had glossed over a small detail about my dessert category, which in a large way would have left me embarrassed had I not realized it in time. Kosher for Passover, non-dairy cake, cookies or something else. 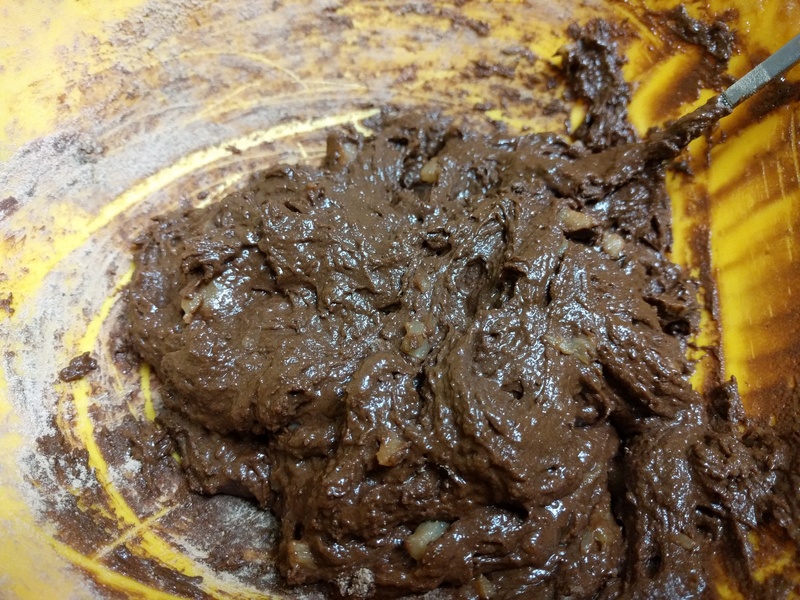 “Ahhhhh, yes, so maybe it’s a good idea if I don’t use butter when making the chocolate covered matzoh,” I said to myself and out loud. 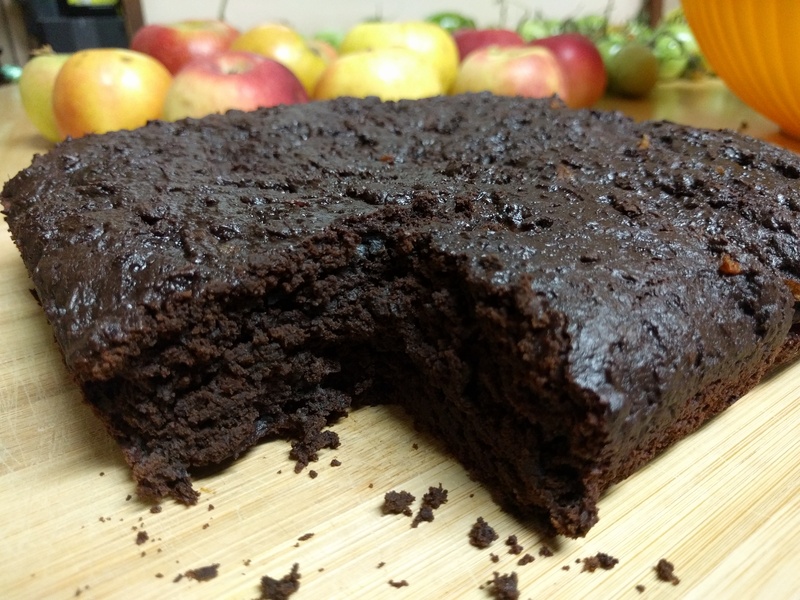 “Or milk chocolate.” The result: a delicious vegan dessert. 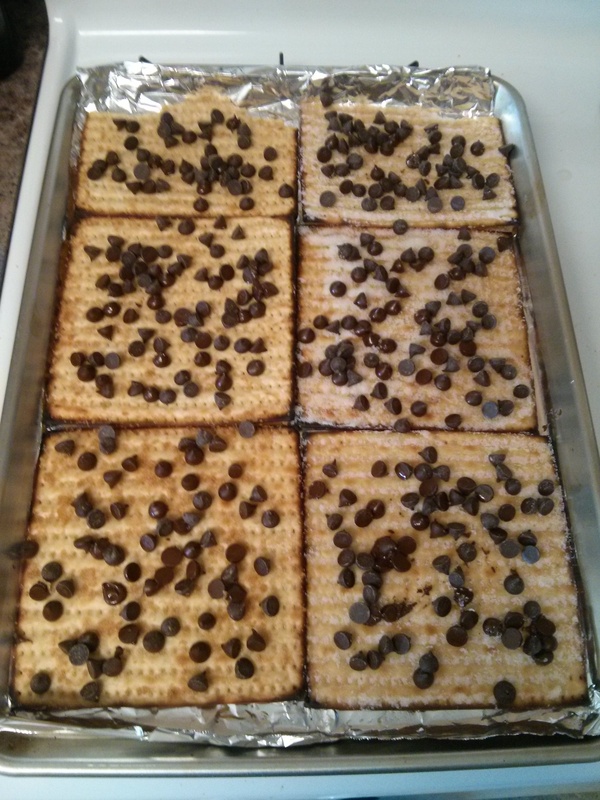 Now take the baking dishes out of the oven, and add a handful of chocolate chips to each matzoh (about 1.5 oz per piece). 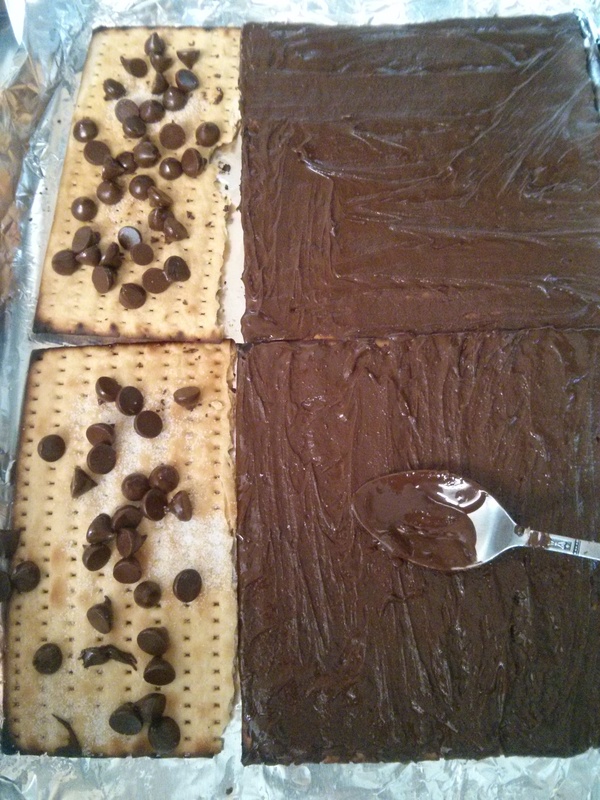 Once the chocolate chips have melted (this may take about 5 minutes or more), spread the now-melted chocolate chips over the matzoh to cover the entire top side (I used the back of a spoon to do the spreading). I also tried 1/2 cup oil with 1/4 cup brown sugar, which likewise turned out to be a lot of sugar. On the matzohs where I used these mixtures, you could see extra grains of sugar sitting on top of the matzohs after the 15-20 minutes of baking. The results for these sugar-lighter pieces seemed as good as the results for the ones I had made earlier with more sugar, so I went with the sugar-lighter version for the recipe above. The 1/2 Tbsp of sugar is a good estimate for what I’d sprinkled on (if you do the math, that’s 3/16 tsp sugar per piece of matzoh..want more or less sugar? Go for it! The semi-sweet chocolate chips also already have sugar in them). 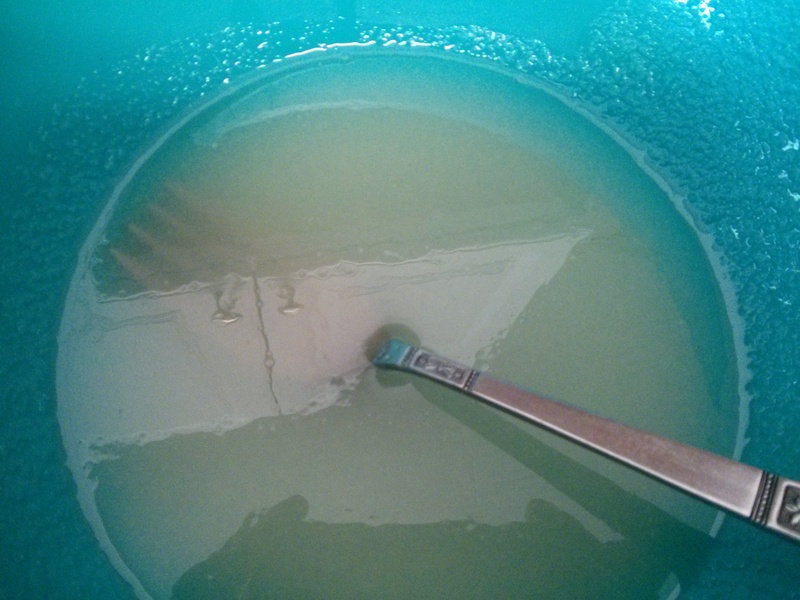 In the recipe, the first two steps are, ‘Mix the oil and sugar, and then brush this mixture on,” but as noted here, another option is you could also brush the oil on first and then do a sugar sprinkle. In the end, assuming that everyone who had signed up for a dessert brought a dessert, plus my brother and his girlfriend, we had 14 desserts altogether to choose from. If you figure that each dessert had about 15 servings and that about 30 people came altogether, that’s a whopping 7 dessert servings per person! 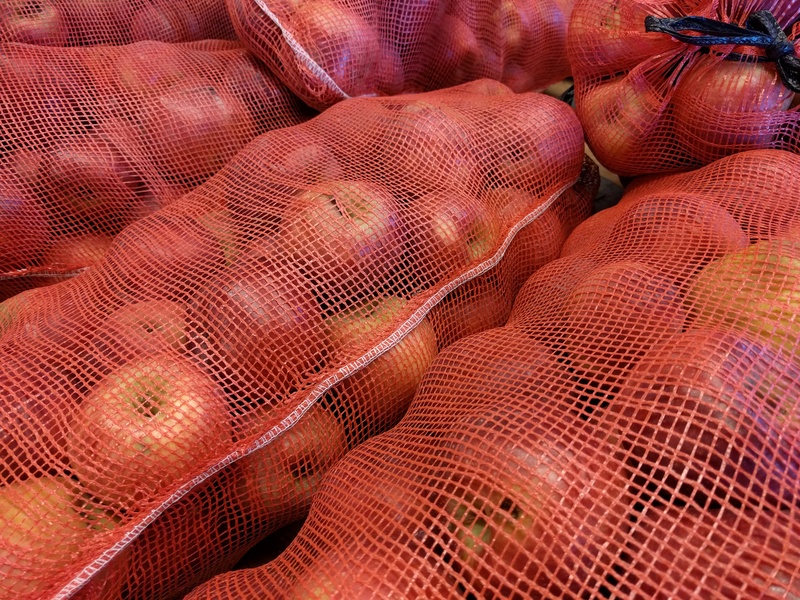 There’s always room for dessert, though, from the fresh fruit to the sponge cakes to the apple kugel to the macaroons and to the chocolate covered matzoh and all the rest. 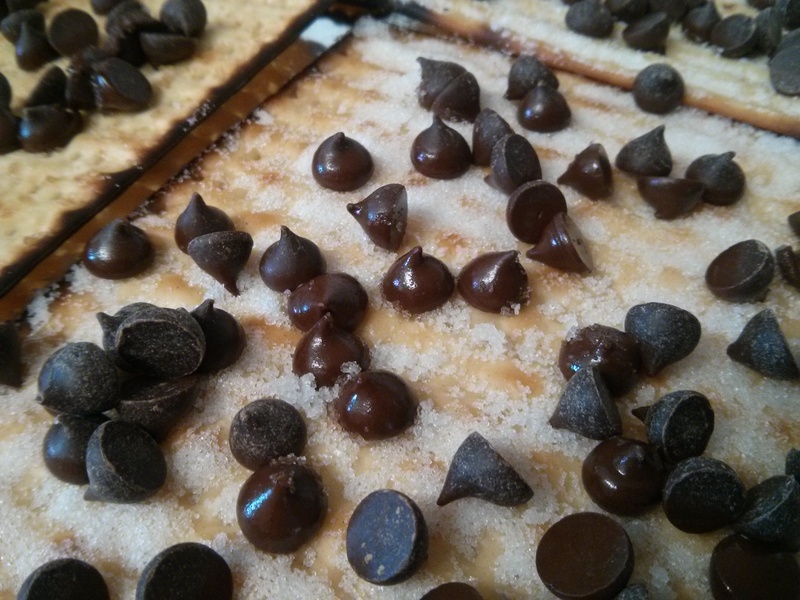 One day, I’ll probably give the butter version of Chocolate Covered Matzoh a try. 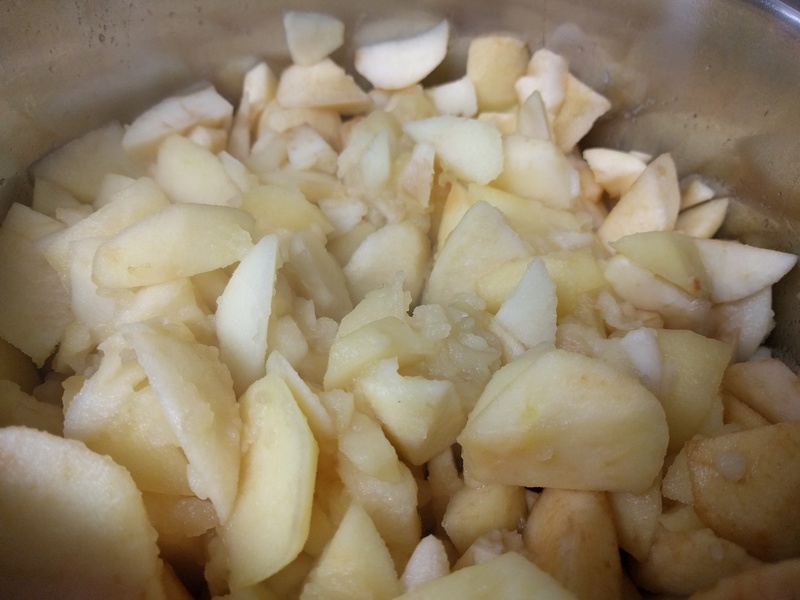 Maybe I’ll also try adding salt, cinnamon, or various nuts, as I saw in some recipes, or adding something simple like orange zest. A fresh hint of orange to go with the chocolate? I have a feeling that would be even more chocolate-covered-matzoh-y good. 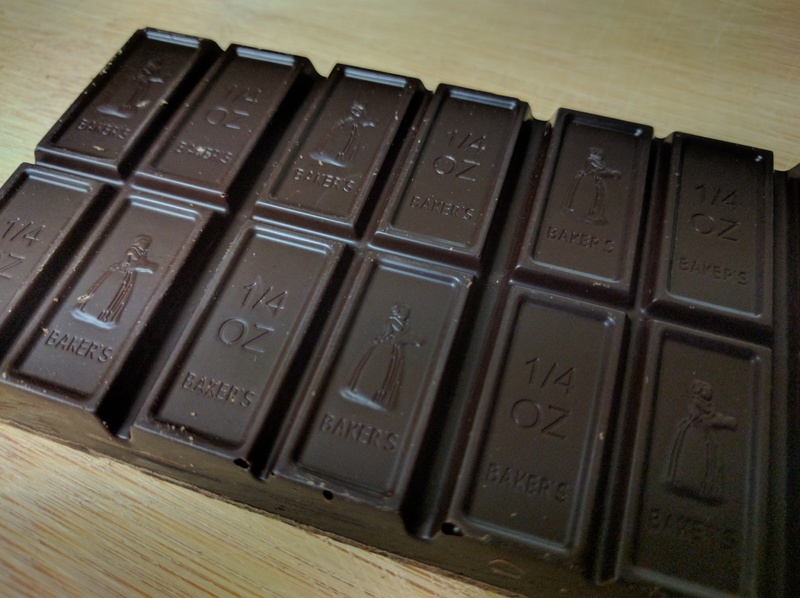 This entry was posted in Uncategorized and tagged chocolate, dessert, matzoh, passover, recipe, running, vegan, vegetarian on April 8, 2015 by dave379. 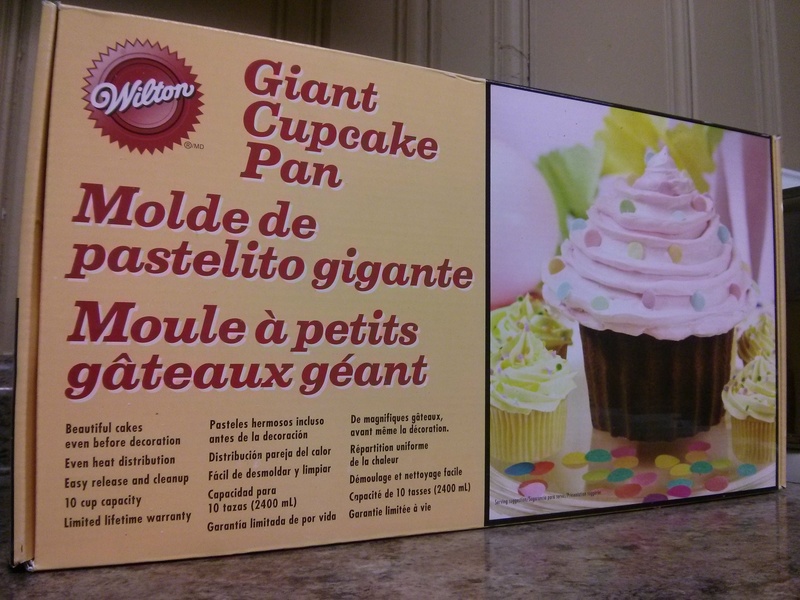 I’m going to make you giant cupcakes, and you’re going to like them. 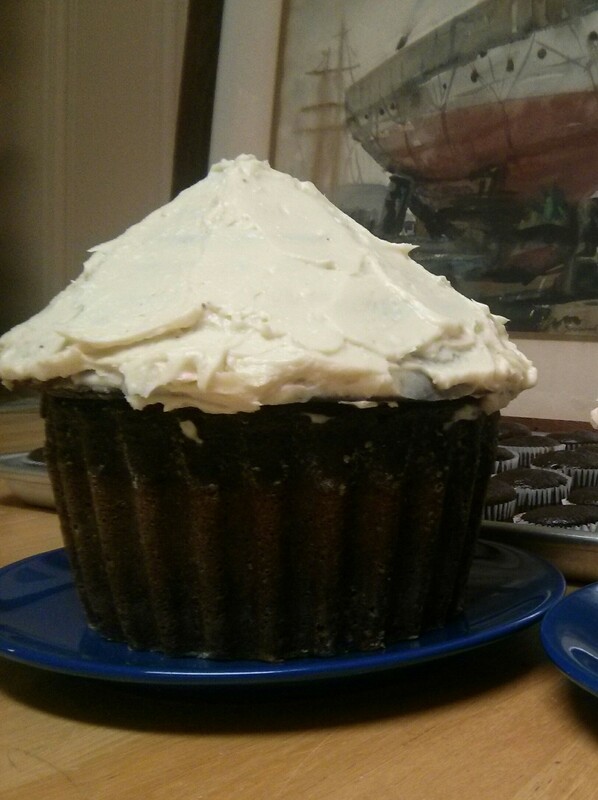 So I made giant cupcakes a week and a half ago – along with some regular small ones – and I liked them. 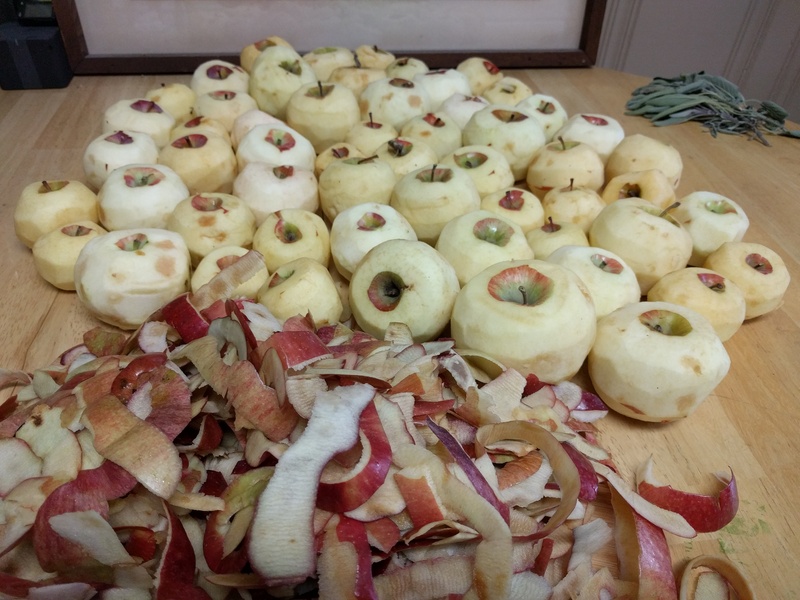 And, as a plus for any cook or baker, the other people who tried them said they liked them too. Now all I need is for another friend’s twins to also have their eighth birthday so I can make, upon request, another pair of giant cupcakes. 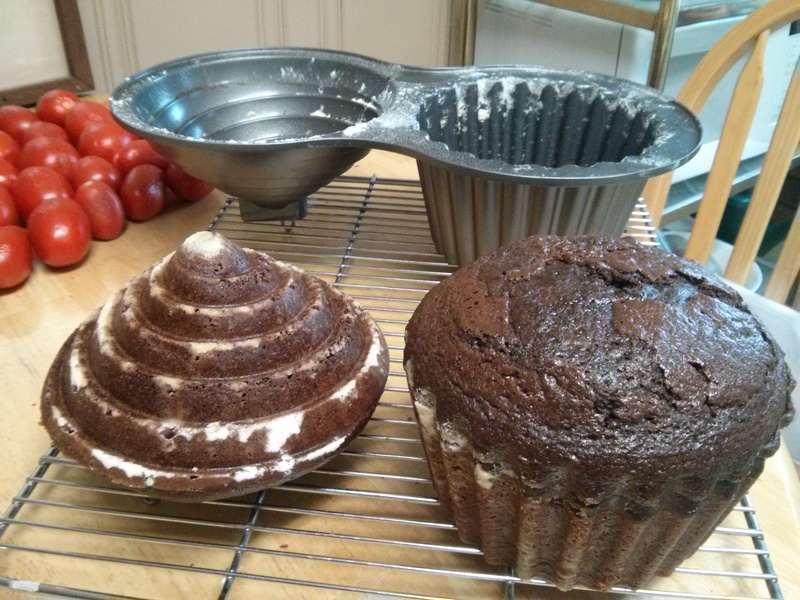 The first step to making giant cupcakes is to get a giant cupcake mold. This I accomplished through some internet searching, a little feedback from a friend, and a trip to the nearest store that had them in stock (Michael’s). If you search like I did, you’ll see that Wilton is one of the few players in the Molde de Pastelito Gigante game. Repeatedly seeing the name Wilton also triggered the good memory of the early days of MLS when we’d be watching the Metrostars on tv and Andres Cantor on the Spanish broadcast would pronounce the players names, such as Welton, with a vigor that in Welton’s case made it, “Wellllllllllllll-tonnn.” I’m pretty sure it was Andres Cantor, of you know, Goooooooooooooooooolllllllllllll! renown, but please let me know me if you know otherwise. The closest confirmation I could find through solely internet searching was this article, in which the author reminisced, “Believe me, no one could make the name ‘A.J. Wood’ sound so extraordinary.” In the end, Welton turned out to be a four-year flash in the MLS cupcake pan. I followed each recipe as written, except for how long I baked the cupcakes (I let mine bake a little longer). What worked well in my oven, based on my sample size of two giant cupcakes, was to bake the bottom-half of the cupcake for 75 minutes and the top-half for 55 minutes (at 325 degrees). 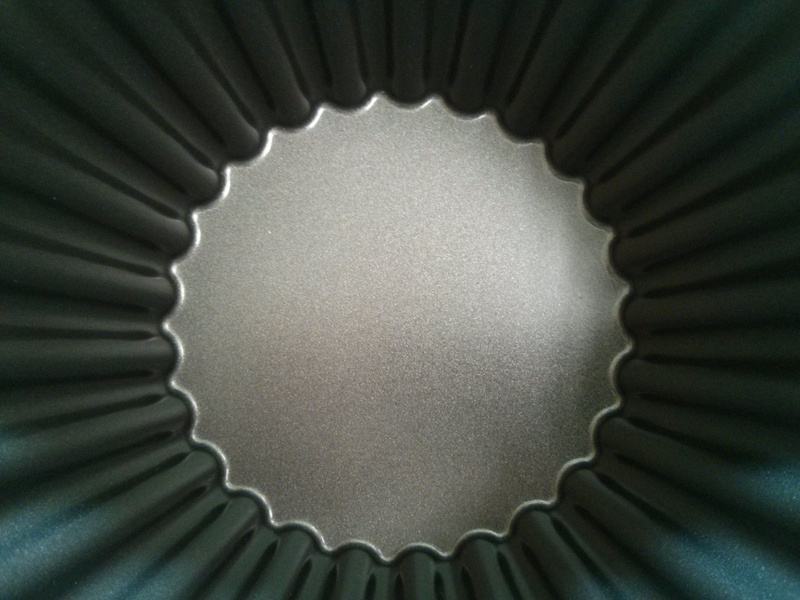 The cupcake mold is a single connected piece – the well for the bottom-half is connected to the well for the top-half (see the picture below) – so as recommended by some others, I started by only adding the batter for the bottom-half. 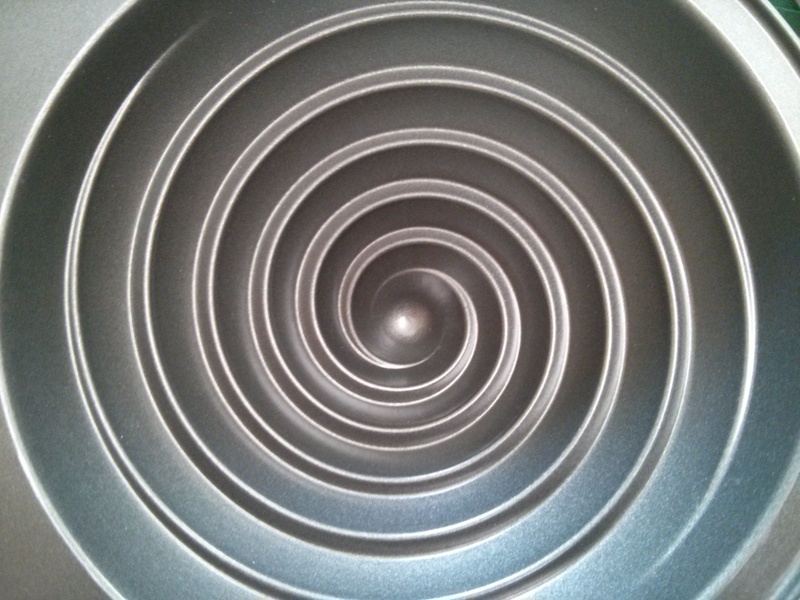 Then, 20 minutes into the baking (with 55 minutes left), I added the batter for the top-half. In the process of making the giant cupcakes, I also confirmed The Cookie Writer’s FYI that there would be cupcake batter left over. And so what to do with the extra batter? Make more cupcakes! Small regular ones in this case. 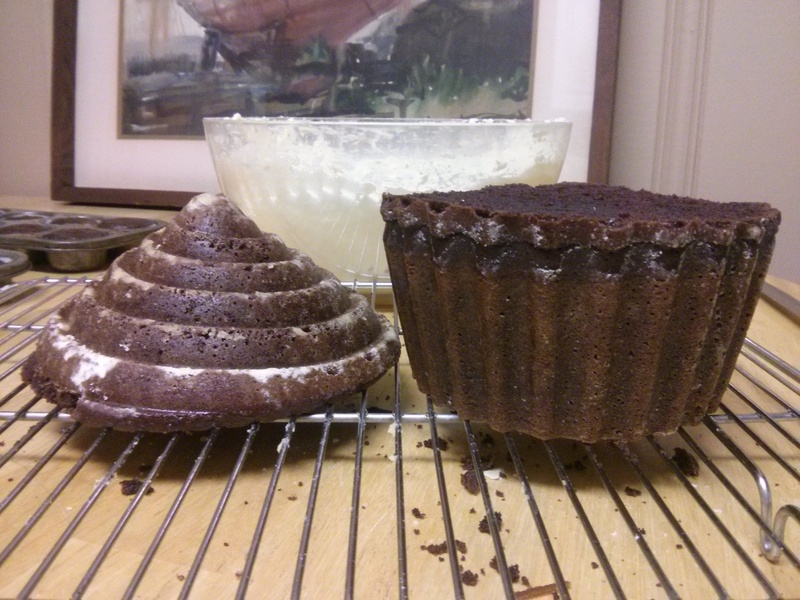 After taking care of the extra batter, all that was left was the extra matter…of the rounded tops and bottoms that I had sliced off earlier to make the cupcake pieces level. Resisting the temptation to eat them right then, I turned two of these rounded parts into a giant whoopie pie, using the remaining frosting as the filling. 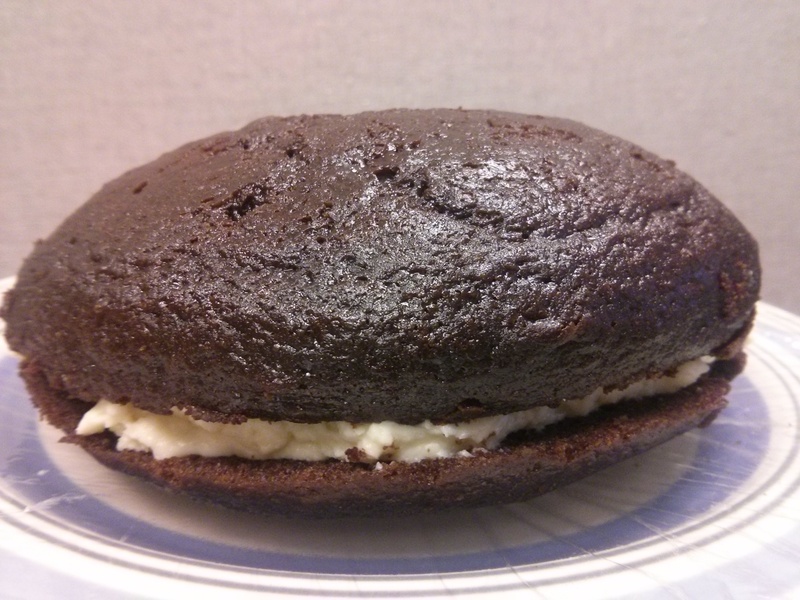 In an interesting bit of culinary timing, I had also made this giant whoopie pie and the giant cupcakes exactly one year to the day after having made a made a pair of giant cookies. A few friends were having a holiday cookie-exchange party on the same day last year, and I was making regular-sized, pumpkin-chocolate chip cookies for it. When I ran out of baking sheet space but still had some batter left over, I rubber-spatulaed the remaining batter into two large pie dishes. The result? Two giant awesome pumpkin-chocolate chip cookies. One of the party’s hosts is purported to have eaten most of one of the giant cookies in a single sitting the next day. The other giant cookie is purported to still be in my freezer. And finally, to end with one more giant cookie memory (who knew there were so many???) and yes again, art, here’s something I made back in college (and recently reacquired when my parents started cleaning out our old rooms). 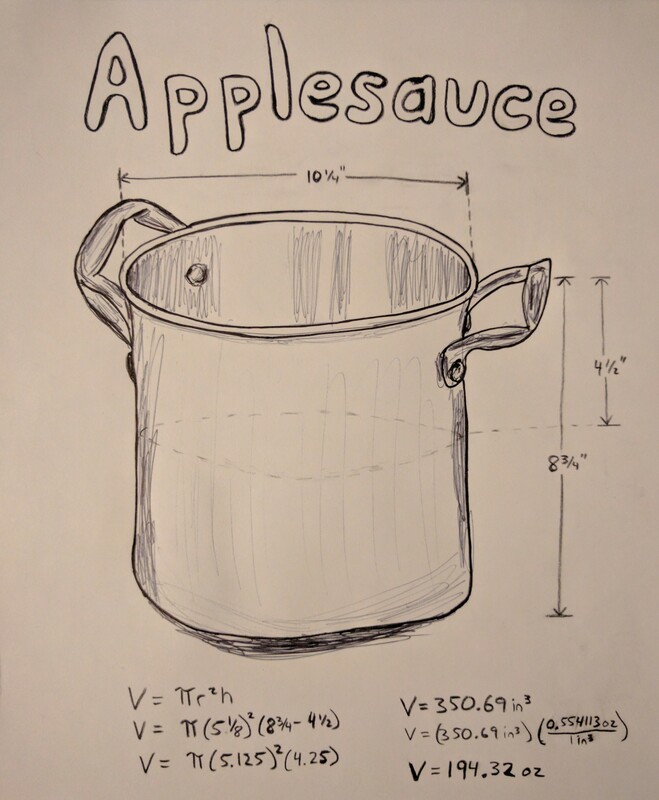 The class was called Two Dimensional Design, and the assignment was to tell a story using four items. (We had to do several of these.) 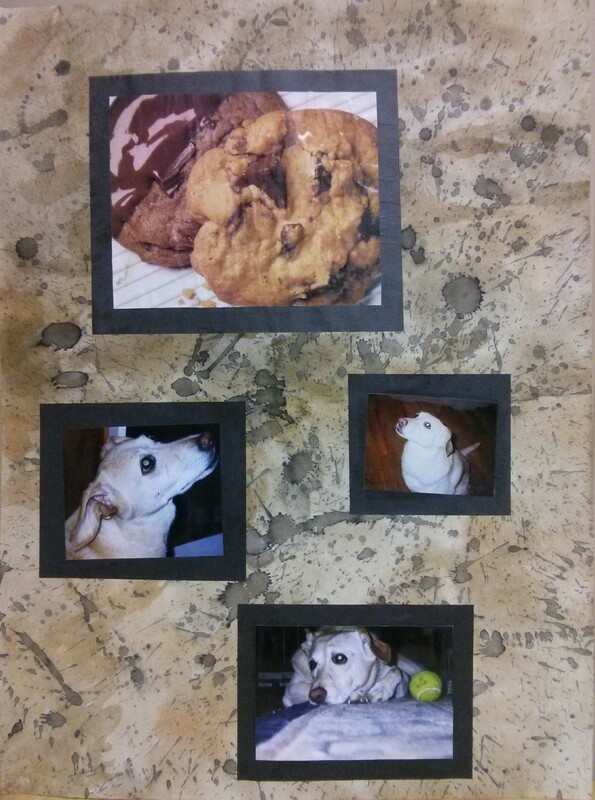 Previously, we had been clipping interesting pictures out of magazines and making a mess with paint on paper, so I already had the top cookie picture and the 18″ x 24″ background sheet (in black-and-white splatter) ready to go. Then I added a brown layer to the background sheet, found some appropriate pictures of the family dog, and the story was complete. Cookie, cookie, everywhere, but not a bite to eat. She was a good dog, we all loved her, and although Blondie was no giant (she came up to around our knees), I’m sure she would have had no problem taking care of an over-sized chocolate cupcake, or two. 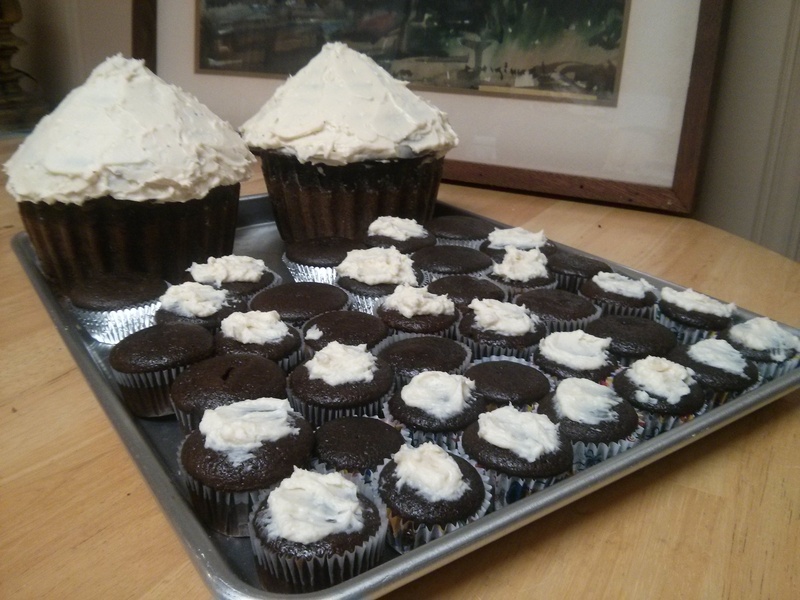 This entry was posted in Uncategorized and tagged Andres Cantor, art, Blondie, chocolate, cookie, cream cheese frosting, dog, giant cupcakes, MLS, whoopie pie on December 26, 2014 by dave379.